India has leapfrogged its way in technology adoption, beginning with the penetration of smart phones and most recently digital payments. Digital payments in India is going through rapid evolution and is being steered by government regulators and banks. This makes the growth of digital payments in India very different compared to the US and China, where banks and government agencies stayed mostly away. A quarter into 2017, it is clear that digital payments in India is not going to be the same. The role of the intermediary is over. Revenue from MDR will disappear in the next 2 years; offline digital payments will be disrupted as POS devices will make way to mobile payments; and data will be the new profitability. First, a quick peek into the history. Digital payments grew as card schemes (Visa, Mastercard, Amex, RuPay, Union Pay, etc.) worked to create a standard for enabling consumers to pay using their credit/debit cards across different businesses – online and offline. This led to the design of what is known as the “Card Present” (offline payments using a POS machine) and “Card Not Present” (online payments using a payment gateway) payment methods. Both these payment methods have multiple banking and technology stakeholders with the card schemes laying the working principles and resolving deadlocks. A consequence was the associated cost of a transaction – the more the stakeholders, the more you shell out for the service. Businesses did not have a choice, and either absorbed the cost (sometimes up to 200 basis points) or passed it on to the consumers (as was seen in some local retailers and utility companies). In a low margin and hyper-competitive market like India, 200 basis points is often a good enough reason to not use a technology, especially when cash payments are readily accepted and the ATM network is well built. If there was a way to execute the transactions ‘directly’ without running it through the interchanges, the cost of a transaction would fall. India is a 2FA market, meaning that the risk is passed on completely to the card issuer. The acquiring bank’s risk is often limited to an issue in service delivery – which again is limited to online transactions. There is very little value you get in return to a high interchange fee. The credit economy in India is still in its infancy and credit cards account for a mere 4% of overall cards issued – as a result, debit cards dominate digital transactions. Transaction fees for debit cards are regulated by the government to a maximum of 100 basis points, thereby limiting the revenue potential for payment providers. Unlike markets like US, where companies like Stripe and Paypal operate around 300 basis points across all cards, India doesn’t give this advantage to PSPs. Indian banks and government bodies, like NPCI, have been at the fronts of the digital payments battle. Unlike the US, where the banks and government saw the digital payments growth from the sidelines, India is a different market altogether. With the introduction of platforms like UPI, the focus is to ride on the penetration of mobile devices and eliminate the intermediary from the payment flow. The future of digital payments in India is bright, but will look dramatically different. Banks, riding on public rails like UPI and Aadhaar, will drive digital payments through their mobile apps. Money transfer will no longer need an intermediary or an aggregator, thereby allowing the unit economics to support micro-transactions. Offline digital payments will be disrupted as mobile devices and banking apps will disrupt traditional POS devices. Larger banks that have a legacy of POS acquiring will struggle to cannibalize their revenues from POS and painfully transition to the world of mobile payments. The new age banks will lead this change and will not even bother entering the POS business. This change will be slow, but will eventually be a reality in another two years. As MDR revenue vaporizes, payment aggregators will turn to data for profitability and try to become FinTech players. Leading consumer players (think Amazon, Flipkart, PayTM) and the upcoming banks & financial services institutions (Equitas, Bajaj Fin Serv, IndusInd, …) are already moving strong in this space and have a significant edge on either data and/or access to capital. Current PSPs have neither advantage and will collapse under this competition, eventually getting assimilated by global omnichannel payment players (Ingenico’s acquisition of EBS and Techprocess), banks, or large consumer/e-commerce companies. Digital payments in India is a large opportunity and has been pegged to be around $500B by 2020 [ref. BCG-Google Report]. The winner of this, however, may not be the traditional PSP, as we know it. Earlier in 2015, the NRF released its list of Top 100 retailers. The article opens with a very interesting line. It’s no longer bricks-and-mortar versus e-commerce — omnichannel is the path to success. There is growing convergence between online and offline commerce. It is beginning to make sense to both sides that consumers just want to buy and while convenience and variety (the online advantage) are important, so is experience and consultation (the offline edge). The proven success of omni-channel for the retail stores is well documented – Macy’s, Best Buy and Inditex have successfully (or are planning to) improved their bottom-lines by embracing a tighter integration of their online and offline retail experiences. This success is limited to the offline-first retailers – those who started as offline retailers and had a consistent offline shopping experience across stores. Let us turn our attention to India where a different story is unfolding. Similar to it’s leapfrog to mobile (+internet) technology where it skipped broadband and desktops, eCommerce rose sharply before organized retail stores were part of an everyday Indian life. A KPMG 2015 report pegs the organized retail market share in India at 8% (~$42B) of the total retail industry, while China and US are at 20% and 85% respectively. The Indian eCommerce industry closed 2015 at $16B. The hypothesis of the eCommerce industry annihilating Indian retail has not necessarily turned out true and both continue to thrive as consumerism in India wins. In this hot pursuit, omni-channel is an attractive strategy for both sides, online and offline retail, to increase market share by leveraging the unorganized sector – a whopping 92% of the overall market. For the offline retailers, building an omni-channel strategy is now standardized – build a top notch eCommerce website, integrate delivery/pickup/inventory with stores and bring customer intelligence to both store sales and eCommerce algorithms. The journey for the eCommerce companies, however, is non-trivial with no demonstrable peer success. Here are some of the things eCommerce companies can do to deploy their omnichannel strategy. The archetype omnichannel customer looks for convenience and cost. In India, cost trumps convenience – that usually ends up a customer looking for the best deal. A store-to-web capability aims at better tracking purchases discovered in stores and completed on the web. This is a problem for offline retailers who view this as a business leak. Building a capability to track and integrate the web purchases with the offline partner allows eCommerce companies to deliver great value to their partner network, while still enabling the omnichannel experience for the customer. Allowing customers to pay through any channel whether they are in a store or online. Offline commerce has been limited by a POS device for the longest time. In recent years, while the POS device has evolved (think Square, et. al. ), customer experiences have stayed the same.Apple’s launch of Apple Pay for the Web, is a step towards a great omnichannel payment experience for the customer. eCommerce companies, with their capabilities of designing beautiful payment experiences can deliver the same for offline purchases. While offline retailers have an advantage of their branded stores, eCommerce companies neither have this capability nor an expertise in running their own stores. Some eCommerce segments, like groceries, pharmaceuticals and food ordering work through a network of hyperlocal retail stores. eCommerce companies can think of India’s large unorganized retail segment as their offline partners. Segments like furniture and high-end electronics can leverage the offline long-tail retail as both a sales and service channel. eCommerce companies are often perceived as stiff competitors to offline retails. In order to build an effective offline partner network, eCommerce companies need to change this perception and deliver compelling value propositions to the retailers. If you follow the Indian eCommerce space, Omnichannel (and hyperlocal) has become a buzzword companies use liberally. We are yet to see an eCommerce company implementing an omnichannel strategy and succeeding. Hopefully, that will change sometime soon. How to surround yourself with good people? Select Few, Avoid Many! This year was very exciting for me. In the last 12 months I have lived in five cities across four different time zones, as I went on my mission to expand my company.This explains why I have been unable to blog as often as I wanted to! My company, uniRow Inc, now has people (employees, customers, partners) across 6 different timezones and three continents. We are still a modest team size, but one thing that glues us together is our strong belief in the company’s vision. This post is not about my company’s growth. It is about how I have managed to stay efficient in this frantic activity by surrounding myself with good people. I followed a simple strategy – select few, avoid many! Individuals who help you grow positively through honest and often passionate conversations. They have clarity of thought and purpose in their lives, lead a healthy life and communicate without fear or malice. While everybody understands the value of having good people in their lives, it can be challenging to control that as you speed through life and your job requires you to engage with people more. There is temptation to find company and the need to network constantly. Here are some guiding principles I follow to keep myself surrounded with great individuals – the key is to follow a mix of selection and elimination strategy! Select Few: What to select? I am a sucker for passionate people who are willing to put their money where their mouth is. Most entrepreneurs are passionate people who see the spark in their idea more than any one else and are willing to work hard enough to turn it into a fire. However, passion without action is meaningless. Be with people who believe in something significant and are living with the purpose to make that a reality. When you have surround yourself with them, your energy never wanes and you can build a great support system. If you can meet people from different walks of life (art, music, media, technology, whatever) it is even better. It opens up your own perspective on various things. I enjoy being with people who have great knowledge of something. Someone else’s knowledge and experience can save you lot of trouble and minimize the trial-and-errors in life. Search for people who are successful. They can be scientists, musicians, technology geeks, business people, whatever. Learn from other people’s success and be inspired to chart your own. Their journeys will keep you motivated and more importantly it will help you see beyond yourself. Be with people who are honest – in their thoughts, expressions and actions. Identify people whose actions are consistent with their thoughts. Honest people can help you navigate difficult situations with better clarity and purpose. Having some honest opinion in your life can really help you grow better. I have been fortunate to have two great individuals, my sister and a dear friend, in my life who constantly help me with their honest analysis of life situations and difficult decisions I need to make. On the work side, my investors and advisors have been great people throughout my entrepreneurial journey. Honesty is not just about doing your job right and not breaking rules – these are often fear induced. I am talking about honesty in your thoughts, behavior and staying true in circumstances when it is tempting to go the other way. Have some people around with whom you can can discuss things without any fear. It helps to dissect the situation at work or life better and continue to excel at whatever you do. More importantly be with people who follow this in their own life. Avoid Many: What to eliminate? The moral of the story is – be careful what problems you pick and that will automatically filter out people. I used to debate with my friends on socio-political affairs. I enjoyed that because it helped me see different perspectives. But eventually it waned because it is not something that I could really add value to today. I noticed that as I eliminated the noisy discussions, it automatically limited my interactions with people meaningfully. Some people thrive in chaos. They like drama in their lives and enjoy living/working in chaotic situations. This is a tough kind because when you first meet them, they appear very capable of handling difficult situations and making their way through complexities. These are traits that every entrepreneur admires and respects. However once you observe these complexities closely, you will find that most of that is their own creation. They avoid owning up their decisions, continue to make poor ones and often find a scapegoat when things don’t work out. They focus on people’s imperfections and spread their chaos around. Identify them and recuse yourself from their company. Entrepreneurs particularly need to stay clear of this group. While everybody understands the need to stay away from the naysayers, it is not trivial to separate genuine criticism from negative skepticism. I have a golden rule to do this – does the person sharing the criticism have enough background in the particular domain? Skeptics can often go into a hyperbole and it is important that entrepreneurs protect themselves from unhealthy skepticism. Have your own failures, so that one day you can make your own success. I was talking to a close friend and advisor about the entrepreneurial life. We were talking about the evolution of an entrepreneur as the business meanders through different stages of iterations and growth. The need to continuously reinvent ourselves and why so many of us stop short of achieving our best. I have to say, entrepreneurship has not been unbearably hard for me! Yes it has been very challenging, but definitely not unbearable. At no point did I ever feel that I should give up. The truth is, I am just a kid with the LEGO blocks! 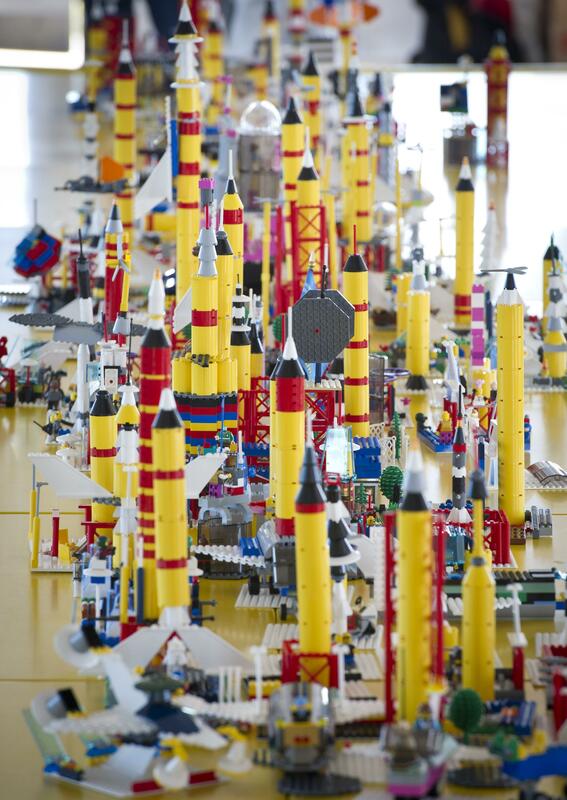 Lego pieces of all varieties constitute a universal system. Despite variation in the design and purpose of individual pieces over the years, each remains compatible in some way with existing pieces. Lego bricks from 1958 still interlock with those made in the current time, and Lego sets for young children are compatible with those made for teenagers. Six pieces of 2×4 bricks can be combined in 915,103,765 ways. It is incredible what we can do with just six LEGO bricks. The skills that we build through our lives are our LEGO bricks. Entrepreneurship is a dynamic process where we try different combinations of these LEGO bricks; we keep trying until we find a shape that is perfect! Entrepreneurship is being imaginative without worrying about failures; it is about trying different combinations before we find our very own perfection; and, it is about having fun while we are at it. If you have seen a kid with her LEGO blocks, you know exactly what I am talking about. If you have not seen one, gift a LEGO kit to a kid you know and learn from her the joy of building up her imagination with abstract blocks. Be that kid with the LEGO blocks!